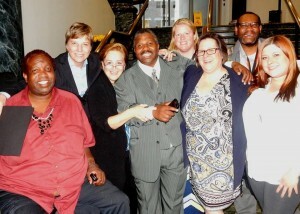 On April 20th, the DC Coalition and the DC Department on Disability Services teamed up to say “farewell” to Director Laura Nuss, who tendered her resignation last month. Director Nuss – whose last day at DDS was April 22nd – led DDS for over 8 years, previously serving as the Deputy Director of DDA. 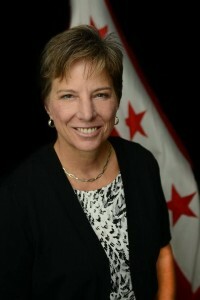 Nuss held the position longer than any other person in the history of disability services in the District of Columbia, also exceeding the national average for disability service directors, which is estimated to be 27 months. Andrew Reese has been appointed as the new interim leader at DDS. Laura Nuss is credited with making substantial systems changes necessary to create and maintain a high quality disability services model for District residents. 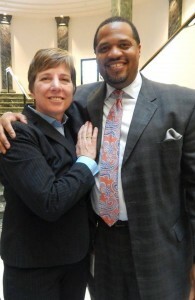 She helped ensure that DC has lead the charge for changes in supports for citizens affected by I/DD and was recognized as a dedicated, thoughtful leader by Judge Huvelle in her final Evans v. Bowser hearing earlier in the day, wherein Judge Huvelle noted that the substantial progress that has been made in DC could not have been accomplished without Director Nuss’s leadership. Her efforts have ensured that people with disabilities will receive the supports necessary to achieve vibrant and productive lives as contributing members of their communities.